BEIRUT Clashes in Beirut and other parts of Lebanon killed at least two people and left more than a dozen wounded overnight as fears grow that Syria's civil war is spilling over into its smaller neighbor, security officials and state-run media said Monday. The latest spasms of violence came amid rising tension between Lebanese groups that support and oppose the regime of Syrian President Bashar Assad and in the wake of the assassination last week of a top anti-Syrian intelligence official in Lebanon. Most of Lebanon's Sunnis have backed Syria's mainly Sunni rebels, while Lebanese Shiites tend to back Assad. The Syrian president, like many who dominate his regime, is a member of the Alawite sect, an offshoot of Shiite Islam. Lebanese Brig. Gen. Wissam al-Hassan, who was killed in a car bomb in an east Beirut neighborhood on Friday, was a Sunni who challenged Syria and Hezbollah. His assassination has threatened to shatter Lebanon's fragile political balance. Many politicians have blamed Syria for the killing, and angry protesters tried to storm the government palace after al-Hassan's funeral Sunday but were pushed back by troops who opened fire in the air and fired tear gas. Overnight, Sunni and Shiite gunmen clashed in two Beirut neighborhoods and officials also reported heavy clashes late Sunday and early Monday in the northern city of Tripoli and towns between Beirut and the southern city of Sidon. The officials, speaking on condition of anonymity because they were not authorized to talk to the media, said a man was killed in shooting in the Wadi Zayneh area north of Sidon and another person died in the Tripoli clashes. 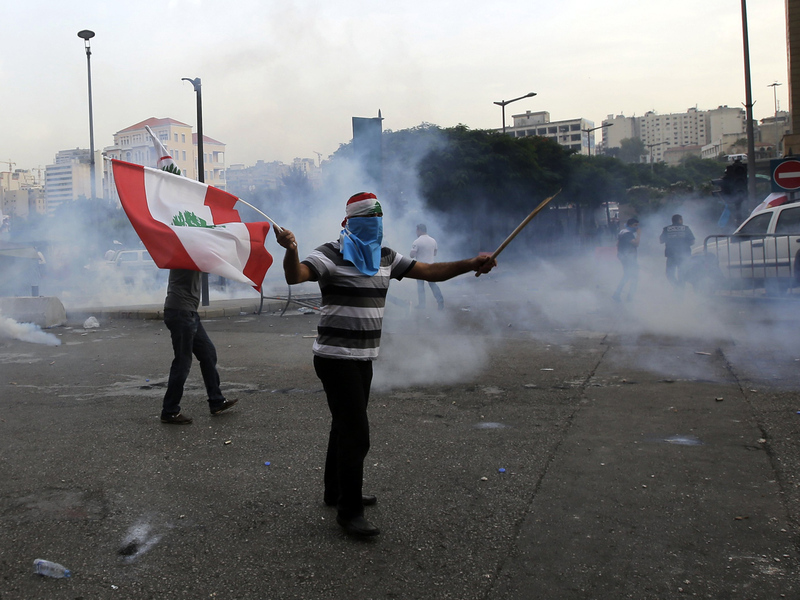 The officials said the clashes wounded at least six people in Beirut and 10 in Tripoli. An Associated Press photographer saw dozens of gunmen roaming the streets Monday of Beirut's predominantly Sunni neighborhood of Tariq Jadideh, where much of the fighting had taken place. Local Sunni leaders were calling the gunmen by telephone urging them to pull out of the streets. In Tripoli, residents said scores of soldiers deployed around the city in an attempt to bring back calm. The military also set up checkpoints, searched cars and asked people for identity cards.